While most multi-touch technologies available only support two-finger touch, the world’s leading touchscreen solution provider, 3M, has set pulses racing with its new multi-touch LCD. 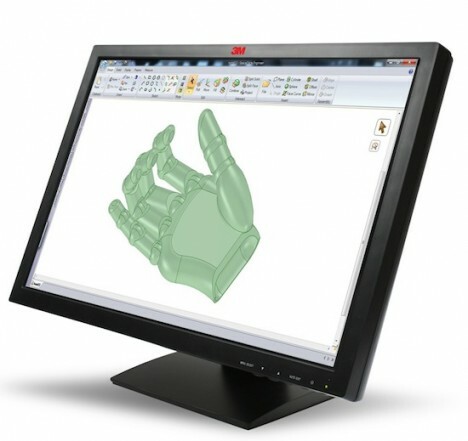 The 3M Display M2256PW LCD supports 10-finger input, advanced gesture recognition and high-speed response time which will appeal to professionals and professional consumers (prosumers) who need to work with multi-user input and interactivity. The 22-inch high definition (1680 x 1050 resolution) display features USB ports as well as audio-video inputs and is Windows 7 compatible. Utilizing the 3M Projected Capacitive Technology, M2256PW is set to revolutionize the way individuals interact with information and collaborate with one another. Software developers are working round the clock to develop exciting new concepts and applications with this multi-touch technology. Its application is potentially widespread including in computer aided devices, surveillance systems, computer gaming, and teleconferencing.